JK Wall reports “Now there are a plethora of doorways to medical care; employer clinics, medical clinics in drug stores and urgent care centers in strip malls.” Is the ED losing its once lauded status as the front door into every hospital? Let’s take stock of several major issues transforming the healthcare landscape that have, or likely will have an impact on emergency medicine. Second, the out-of-network and associated issue of patient balance billing continues to be an omni-present revenue threat for many ED practices. To a great extent this is a state-by-state issue, and typically receives significant play in the lay press as well. The effect on ED volume and access does not appear to be significant. The issue of transparency for charges, collections, and insurance coverage of ED visits has been a long term issue, and featured in many lay press pieces. As the average ED bill increases above $3,000 there is even more issue with collection of very high self-pay, co-pay, and post-deductible charges. Emergency care and hospital leaders should be aware of the information available from AHRQ and its’ MEPS study. Substantial integration of coordinated care models. Development of reliable and actionable data on ED quality, population health and cost outcomes. Specific initiatives to control and optimize ED utilization. Payment models which preserve surge and disaster response capacity. EM’s key role in addressing the hospital’s re-admission issue. EM working with hospitals to address the issue of price transparency of charges, and what the patient will ultimately be required to pay out of pocket. 68% of all hospital admissions come through the ED. Certainly hospitals are shifting more and more care into outpatient settings however, hospitals still need revenue and EM is providing a substantial proportion of it. EDs are seeing older, complex and high acuity patients. The highest injury rates are patients over 75 years. Metrics on ED numerous diagnostics, therapeutics, critical care and mental health are available and crucially important to constantly monitor. ED processes typically turn on thresholds of 20,000 visits, producing ED cohorts that are predictable and manageable with data analytics. EDs seeing predominantly adult versus pediatric populations are fundamentally different in terms of both structure and functioning. Correlations exist between EMS arrival and admission rates. Acuities continue to increase in our nation’s busiest EDs. Rapid diagnostics and intervention continue as hallmarks of EM. ED visits, despite all efforts, are on the rise. Constant monitoring of ED demographics, payer and acuity mixes and insurer payment rates. Strong and creative technology solutions that are patient friendly, particularly for today’s high deductible patients. Technology and processes that are from the 1980s through the early 2000s are outdated and add on the potentially even more volatile public relations issues over and above the revenue loss issue. Integration of clinical diagnostics into the value proposition of each ED. Openness to direct involvement in new and creative post treatment models. Laying claim to the ED’s role in the care continuum. Providing a broader range of services. The ability of hospitals and emergency physicians to cooperate to address the transparency issues in charges and out-of-pocket expenses. These indices can become the value proposition of EM. This is a day and time of great opportunity for EM to emerge as a true leader in this era of great change in our nation’s healthcare delivery system. 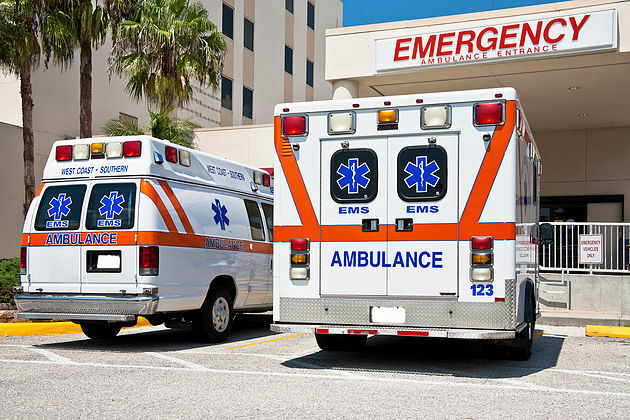 Despite multiple new access points, it appears that when patients are significantly ill or injured, the ED still remains the front door to the hospital. 2Daly, Rich. Changes in Medicaid Payments Could Trigger Surge in Emergency Department Use in 2015.” hfm. December 2014. 3Editorial Board. “Bottlenecks in Training Doctors.” NY Times. July 19, 2014. 7Rosin, Tamara. “4 Hospital & Health System CEOs Define Challenges and Resolutions for 2015.” Becker’s Hospital Review. January 6, 2015. 8Gamble, Molly. “Jefferson Health’s CEO Has Big Hopes for New Innovation Hub. ” Becker’s Hospital Review. January 8, 2015. 9Agrawal, Shantanu; Conway, Patrick H. “Aligning emergency care with the triple aim: Opportunities and future directions after healthcare reform.” Elsevier. Healthcare 2; Volume 2, Issue 3, September 2014. 10Bushko, Marlene. “Heart-Failure Discharge Summaries Often Poor Quality, Perhaps Affecting Outcomes. Medscape. January 16, 2015. 11Nedza, Susan.”Commercial Payers, ACOs, and Future ED reimbursement.”ACEP Reimbursement 2015. January 12, 2015. 12Augustine, James. “How Do You Measure Up? ED Benchmarking and Hospital Perception.” ACEP Reimbursement 2015. January, 13, 2015.